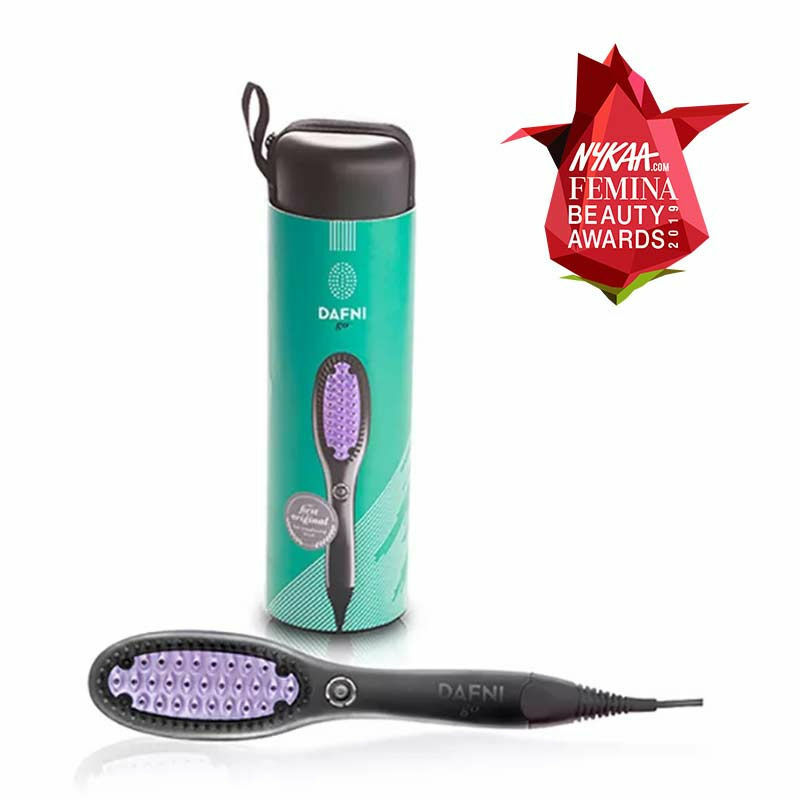 DAFNI go™ is the ultimate portable hair styling brush for women with a fast paced, on-the-go lifestyle. Incorporating the same high quality materials and advanced technologies of the DAFNI™ you have come to love, the go makes it even easier to take it with you anywhere. With the DAFNI brush it is natural and convenient to reach and style every strand of hair on your head. Not to mention it is gentler and safer for your hair than flat ironing.The compact and light weight brush is designed with a unique 3D surface that is wider than that of a traditional straightener, allowing it to styles large strands of hair with each brushstroke and reducing the time it takes to straighten your hair by as much as 10 times. DAFNI go ™ is every women's solution for travel, work, or play. Additional Information: Dafni is the brainchild of Sharon Rabi and Kobi, the daughter-father duo whose experiment with hot brushes to straighten hair gave way to this innovative brush. Dafni effectively eliminates extra time spend in hair care routine and gives you beautiful hair. Right from styling your hair to straightening it in no time- it's a salon in your bag! Explore the entire range of Straighteners available on Nykaa. Shop more Dafni products here.You can browse through the complete world of Dafni Straighteners .